Save the date! Our next Catch Up with the Property Girls event in Sydney will be on May 7th, 2019! Kylie Davis is not a good girl. She swears like a trooper, calls a spade a freaking shovel and has never fit neatly into corporate life. At the age of 17 she was told by her school principal; “Of course you can! What on earth makes you think you can’t,” when she asked to edit the school newspaper. She went on to become a cadet journalist at The Australian and spent the next 5 years being told regularly that she couldn’t because she was too young, too inexperienced, too outspoken, too much, too difficult, too emotional…you get the gist! Nevertheless, she went on to win cadet of the year at News Corp because of her reputation for being clever, curious, tirelessly optimistic, able to see the story in anything and was a bloody hard worker. But tired of being told what she couldn’t do, Kylie started her own newspaper company at the age of 24 and as a new mum, successfully selling it 10 years later as a million-dollar enterprise. 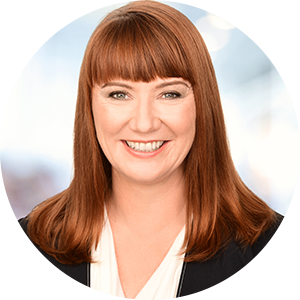 Kylie’s 25-year career spans time as an executive editor at the Sydney Morning Herald, Sun Herald and News Corp and most recently she was the square peg in the round hole of the CoreLogic marketing team, delivering 7 major reports as an industry thought leader. She has an MBA from the University of NSW and now has a portfolio career across proptechs, research and content marketing, which means she is now the boss of herself again. Hallelujah!